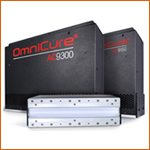 AC4 Series UV LED small area curing systems ideally suited for the UV curing of adhesives and coatings in electronics, optics and medical device assembly or inks in print, marking and coding applications. 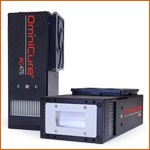 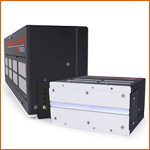 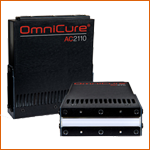 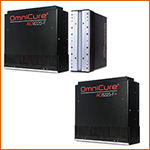 The OmniCure AC5 Series air-cooled UV LED curing systems are designed with advanced front-end optics to provide high power, high peak irradiance and exceptional uniformity at different working distances. The systems deliver 14W/cm2 peak irradiance for fast, even curing at long working distances. 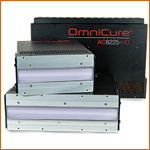 AC7 Series UV LED large area curing systems that can be adjoined for a wide range of UV adhesive curing and coating applications such as displays, touch panels, thin films and fiber applications.